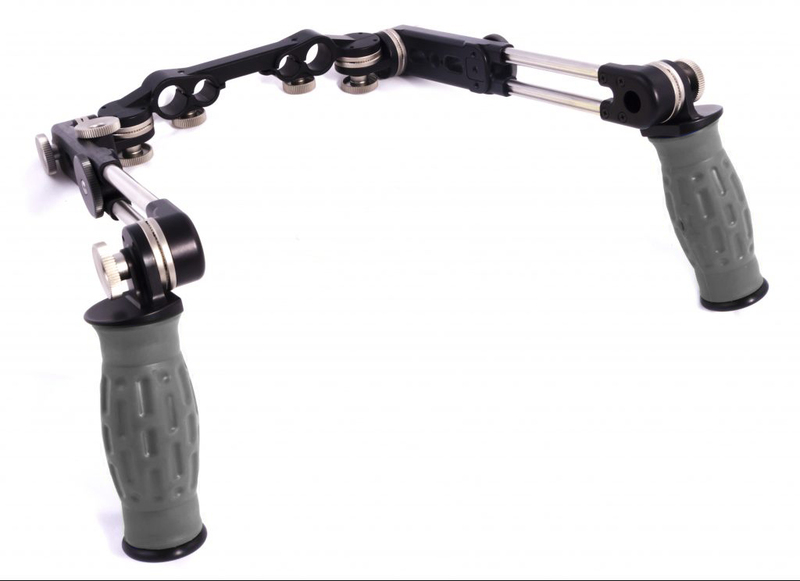 Spidergrips handset complete with left and right side adjustable extension bars, 19mm studio rod and 15mm LWS mini rod center bracket. 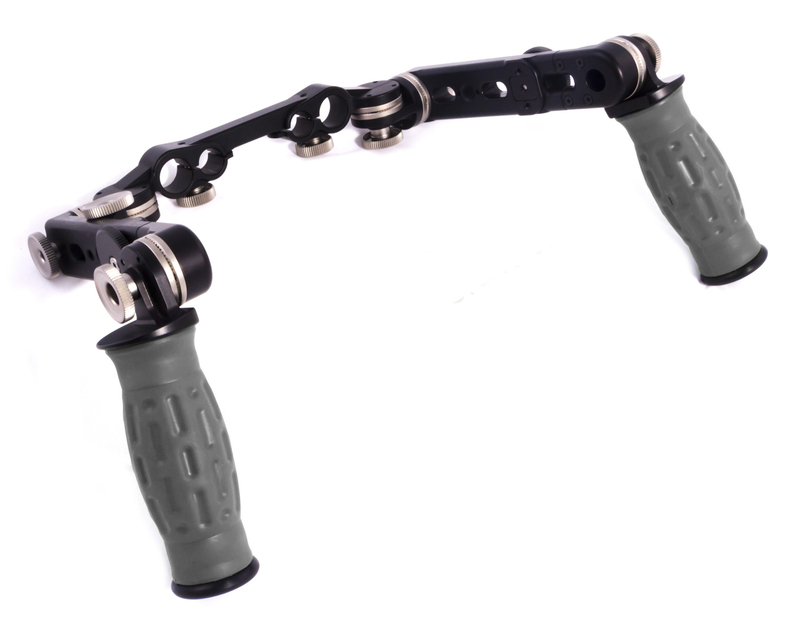 Left side adjustable extension bar has 3/8-16/ 3mm registration pin holes for Arri accessories and extends from 6.6 in. to 9.8 in. overall length.